The Truffle Shop has recently been launched in the Harrods Food Hall. It offers whole truffles and a decadent selection of truffle-inspired dishes-to-go. From sophisticated starters and mouth-watering mains to inventive desserts, the sought-after ingredient takes centre stage in an indulgent array of warming winter dishes. 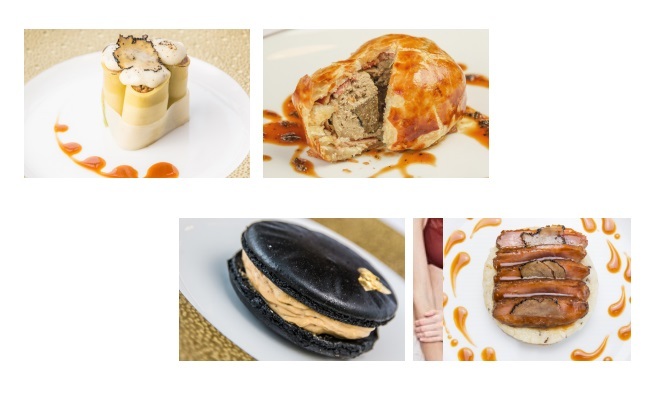 Harrods chefs have created a glorious menu and starters include seared scallops with truffled potato puree and creamy veloute, and whole baked black truffle, wrapped in streaky bacon and puff pastry with truffle cream and Périgord sauce. For the main course, customers can choose from a seared Barbary duck breast with black-truffle risotto, cannelloni filled with veal ragout and truffle cheese fondue, or wild mushrooms, ricotta and truffle cheese, layered with soft creamy polenta and served with fried leeks and fresh black-truffle shavings. Desserts include a black macaroon with truffle-infused dulce de leche and a rich panna cotta with white truffles and Champagne jelly. A Make-your-own-truffle-pasta kit (for two people) and whole truffles are also available.